Most browser-based online games desperately want you to keep playing as much as you can—there's always another level to gain, more of your friends that need persuading to join, items to unlock and buy that will keep you in front of the screen clicking away even longer. The four-person team behind the in-development Tinkatolli seek to change that. The title is a social media site/game hybrid for children, but one that actively encourages children to go outside and make things as an extension of the gameplay. The game accomplishes this by putting you in control of your own custom avatar, called a Tinka, in a cutesy DIY island setting reminiscent of LittleBigPlanet. On this island, the titular Tinkatolli, trash is scavenged by the Tinkas and assembled into arts and crafts projects—many of which come from designs submitted by children, meaning they could very well turn what they make in-game into an actual arts and crafts project using things they could probably find lying around the house. The game will also have a "scrapbook" feature that gives each user a place to upload content relating to what they do—making said crafts, playing with friends, and eating their vegetables (I would think)—this would reward them with points online. 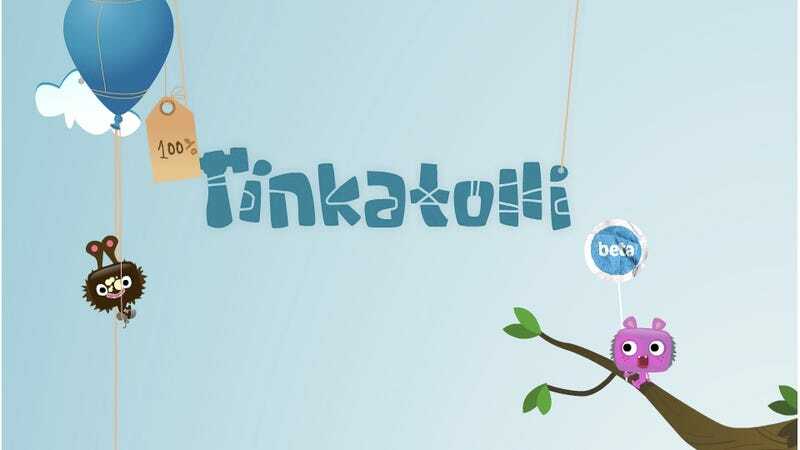 Tinkatolli is still in development, and the devs are looking to fund an open beta via its Kickstarter project open through this Friday.